PhotoSynthesis located in historic downtown Ames at 317 Main Street. We are proud to be part of the downtown community! PhotoSynthesis is a boutique design shop specializing in making modern and unique photo gifts and home décor items. 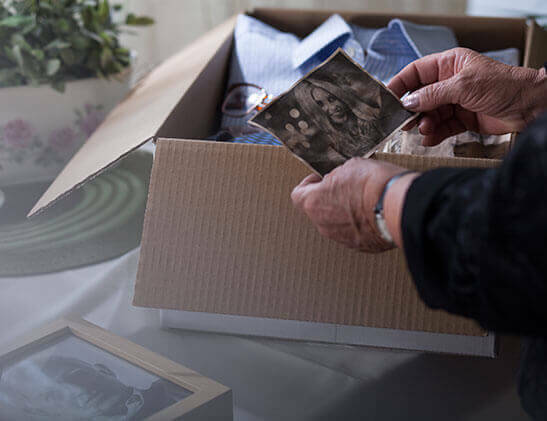 We also offer more traditional services such as photo printing and restoration, photo cards and announcements,digitizing and archiving slides and photographs, and digitizing reels, VHS tapes, albums & more. We want you to share your memories! 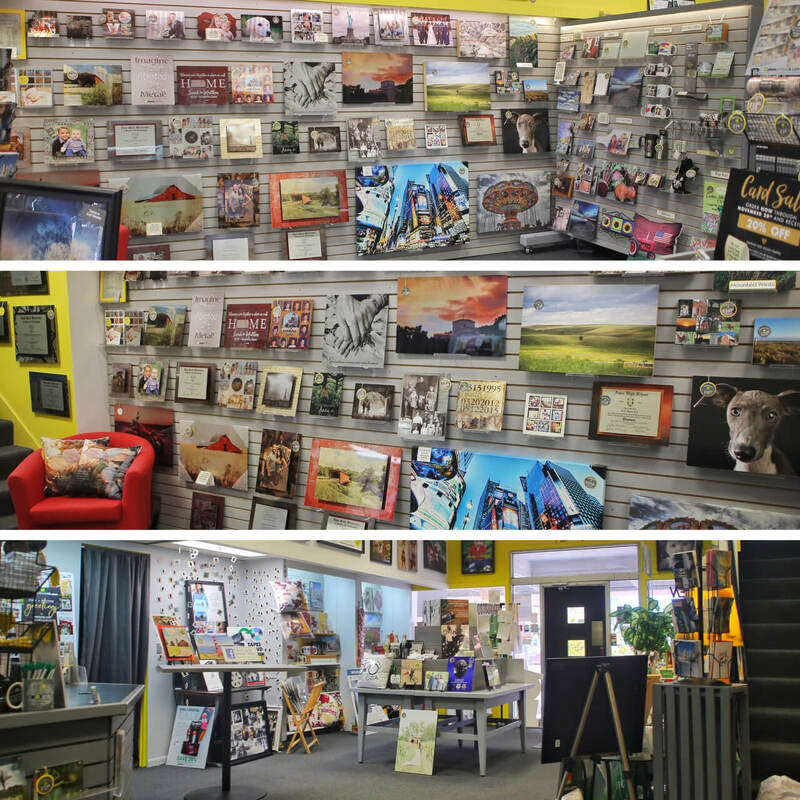 We currently print on a wide variety of substrates such as metal, glass, canvas, tile, fabric, & slate. We also offer custom design services. If you want to share or display your stories and memories in a beautiful, meaningful and unique way, this is the shop for you. Hello! I’m Lisa Hovis, and I own and run PhotoSynthesis. I’m a digital designer and photographer, and my shop wouldn’t exist without the help of my amazing staff. I’m beyond grateful for their passion to help the people who walk through our door find special ways to preserve their stories. The history of PhotoSynthesis dates back to 1999 when I moved to France. Shortly before moving there, I received one of the first affordable digital cameras on the market, an Olympus Ca media. It was just 1.2 megapixels!! I was instantly obsessed. I stocked up on batteries and ridiculously expensive memory cards.The ‘big’ photos I took were just 600x400 pixels. In Dijon, the city I called home for almost two years, I discovered a passion for documenting the beauty and history of Dijon through photos. I shared my photography and stories via a website I created in Dijon after meeting and learning from an American student in Dijon, J.P, who knew how to create and maintain websites. Armed with a quick lesson in Dreamweaver and HTML, I startedlisasdotcom.com. 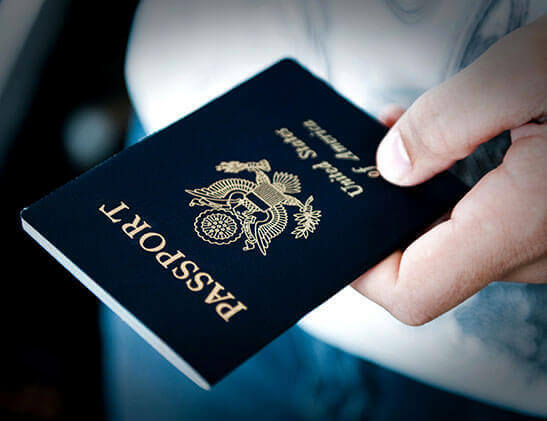 Originally it was a way to keep in touch with family back home. But the site grew to be a simple travel website for people traveling to Dijon wondering what to do, what to see, and where to stay. I maintained the site through about 2007, eventually taking it down in 2014. Wanting to manipulate the images I took while spending hours walking around Dijon, It aught myself Photoshop so I could digitally restore photos and create unique story collages. I also began using my old and new family photos to create visual memory collages of my family. I loved this work, and knew I wanted to create an online business focused on photos and imagery. I founded Chouette Design Group in 2001 shortly after returning from France.Inspired to create my first online business using this new passion for photo manipulation and photography, I developed several simple websites selling things I designed and printed: custom photo pop art, custom photo collages, & more. After posting a birth announcement I designed from digital photos I took after a friend had a baby, I added this service to my photo design lineup. Orders started coming in from around the country. I found my online niche! At that time I was among three women with home-based internet businesses who seemed to be the founders of the digital photo announcement industry. I worked tirelessly to maintain my top-10 organic Google listing under the ‘photo birth announcement’ search. It was a fun challenge. Despite new companies who would steal my designs and sell them as their own (even taking entire web pages!) my custom birth announcements were a hit! When I moved to Ames in 2007, I was printing tens of thousands of photo cards and announcements each year. 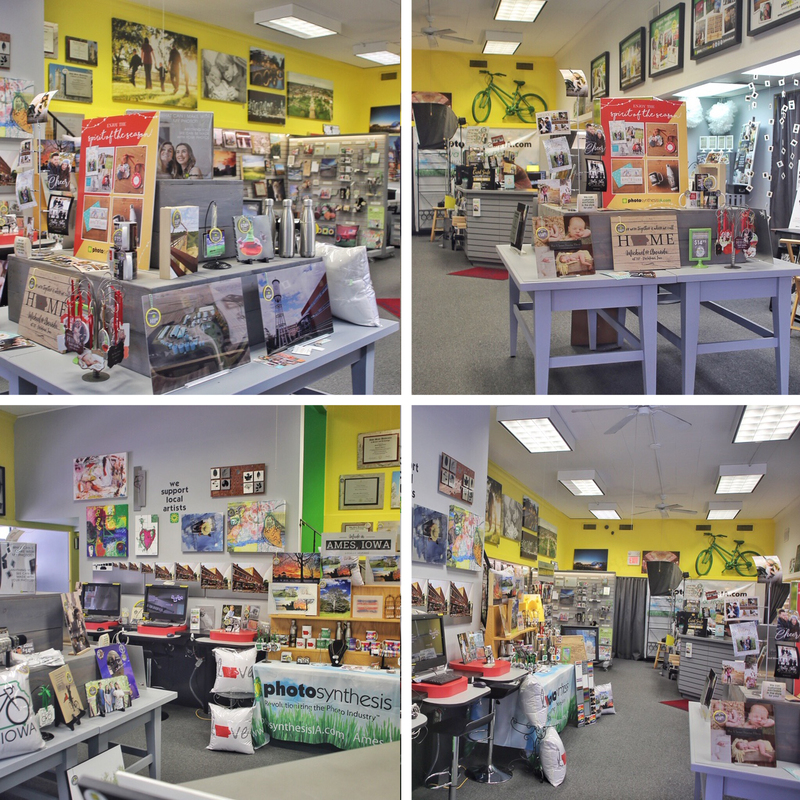 My search for a new photo printer in the Ames area led me to Walden Photo, a family-owned photo printing/camera business established in Ames in 1969. When Walden closed on the last day of 2008, I purchased the equipment and building with the help of my dad. PhotoSynthesis opened during the recession on January 5, 2009, just one week after Walden closed. 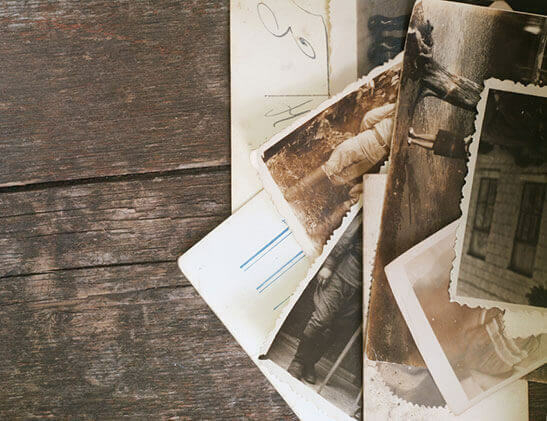 We believe that memories are worth preserving and celebrating. Every photograph tells a story. Our goal is to help you tell your stories in creative and distinctive ways. That requires thinking out of the box and establishing close relationships. We'll work with you to determine the best, most cost effective way to preserve your film, slides and photographs, and to find the best ways to preserve your memories with unique photo products. We believe that quality products and designs are the best indicators of value. We have no desire to emulate or compete with big-box retailers and online gift factories solely on the basis of price. Our photo prints cost a little more than the 'big guys' because we use the highest quality archival papers available for our printing technology. We assess every one of your digital files for color and density and make the appropriate adjustments before printing to ensure that you get the best possible print. We will never take shortcut sand automate orders. And the fact remains that that only way to truly preserve your most special images is to print them. There will never be a better way that printing an actual photograph, so the quality of that photograph is critical! 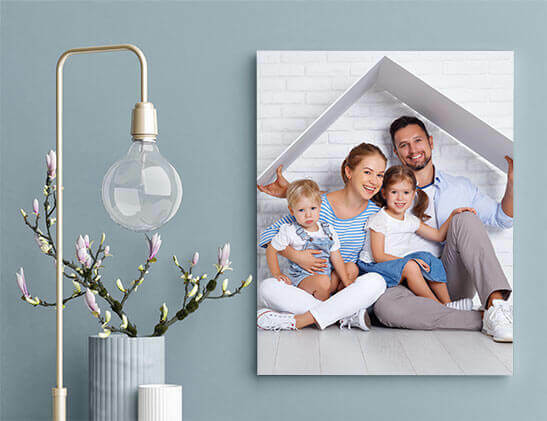 This determination to maintain high quality standards means that we fabricate virtually all of our photo gifts and home décor items like metal art, canvas art, and accessories. Producing in-house not only enables us to set and enforce high quality standards but also cuts out middlemen and to provide our customers with quick turnarounds and the best possible prices. And of course, we wouldn't be here without the loyalty and hard work of our employees. We have the best staff in Ames! And good employees also deserve the best tools available. That's why we have invested more than $89,000 in a state-of-the-art printing technology since 2011. Finally,we recognize our obligation to the various communities to which we belong. 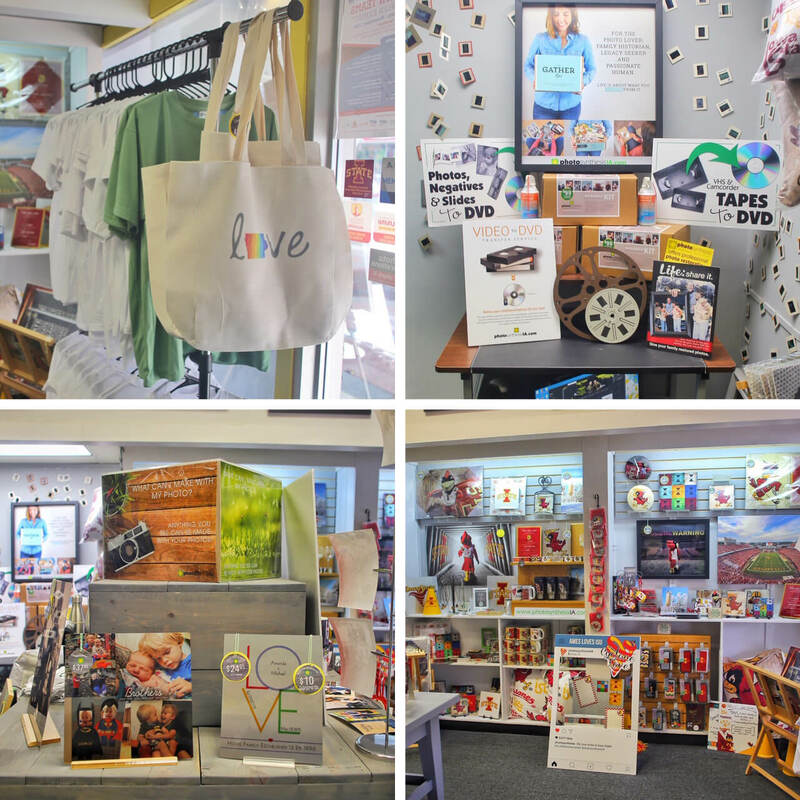 PhotoSynthesis has donated approximately $30,000 of products, services and cash to more than 50 community organizations like schools, universities, churches and social service agencies since opening. We try to buy American-made products whenever possible because we want to do our part to keep jobs in America. And we strive to reduce our environmental footprint whenever possible, as we did when transitioning to dry printing in 2011 or searching for more Eco-friendly packaging. If you're local, we hope to see you in the shop soon! And if you're unable to travel to Ames, we ship! We hope to hear any questions you have and how weight help you get our unique products in your home. Let’s save, celebrate, and share your stories.